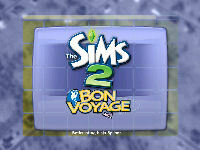 The Sims 2 Bon Voyage - Wish You Were Here or Holiday From Hell? It has been requested by the community for quite some time and now it has arrived. 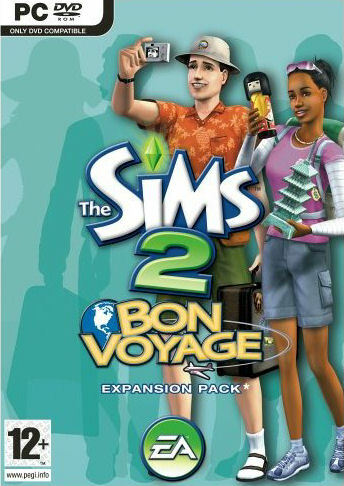 Finally, after a wait of almost three years, this generation of sims can go on vacation. 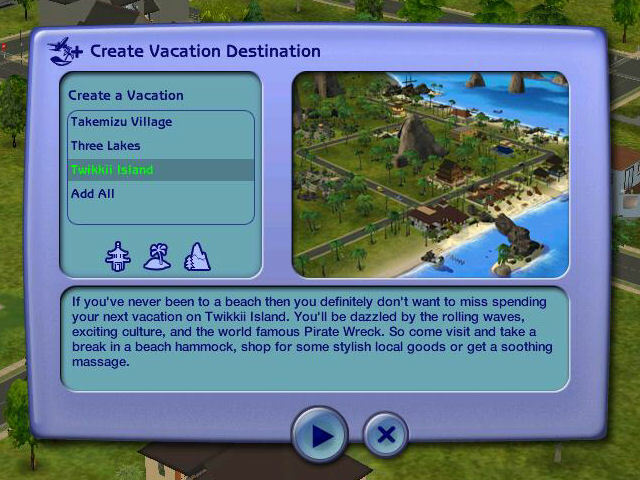 This review intends to look in detail of what EA has given us for the neighborhood, for our sims to wear, buy or build and considers which type of vacation your sims are going to get. Without further ado, let us get on our way as we explore what this new EP has in store for us. We'll assume you have installed and registered the game. Let's get going. 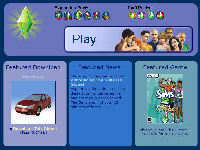 For a start, assuming you are online, you are now presented with a launch screen. This gives you the latest news of what is on the exchange, what the news is, what the featured game is and also a button allowing you to "play". This is not a bad thing to do if you could do with a "fix" of the latest stuff and install it before you go into game. Assuming you just want to go into game, click "Play". When it comes to loading up the game, please be patient. There is more for your computer to cope with and it will take its time. Yes, as always there is something about reticulating splines and my jaded opinions continue as I feel it isn't very imaginative again. 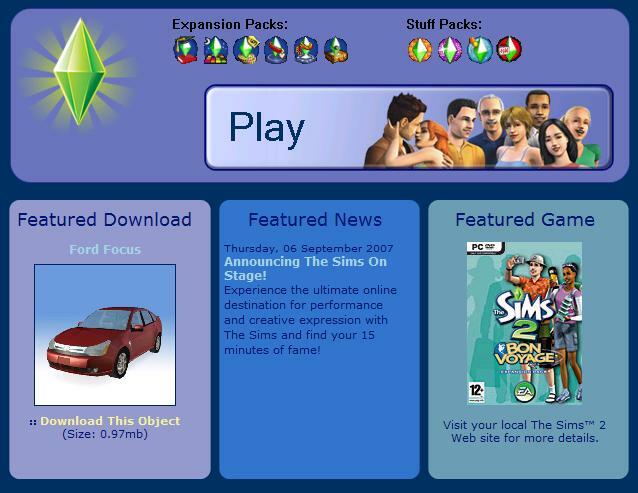 For your information, as you wait for it to load, for the player who has every EP and SP, a "default" installation of the Sims without adding on any secondary hoods now takes up about 600Mb. Finally, it loads and you select a neighborhood. For my first visit, I chose to go to Pleasantview. 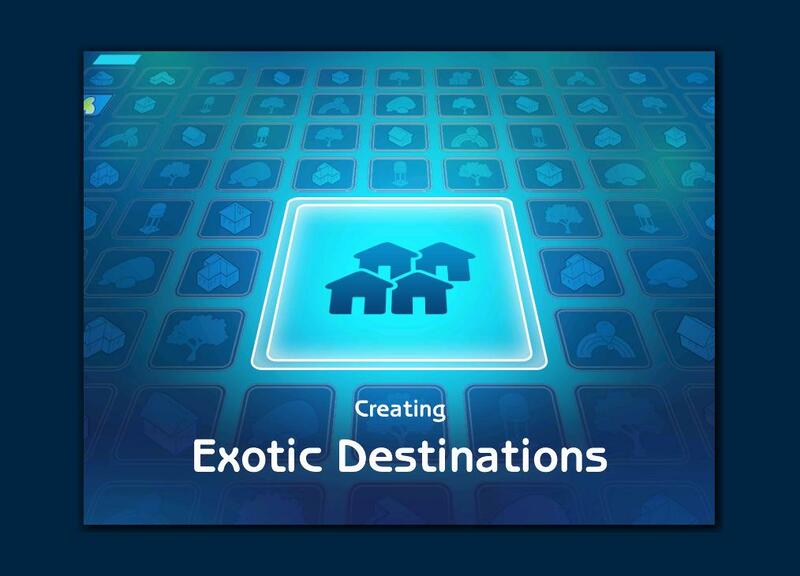 As the neighborhood opens up for the first time, a new screen not dissimilar to what we have seen with previous EPs comes up telling us that it is adding "Exotic Destinations". 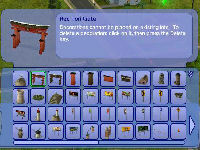 We've had Pets and Weather added so this is not really anything that the sim completists haven't seen before. 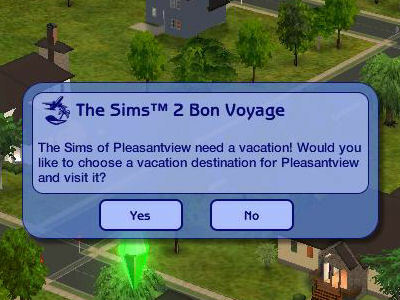 Before I even got the chance to check out the what's new in the hood, I was told that the people of Pleasantview want somewhere to go on vacation. 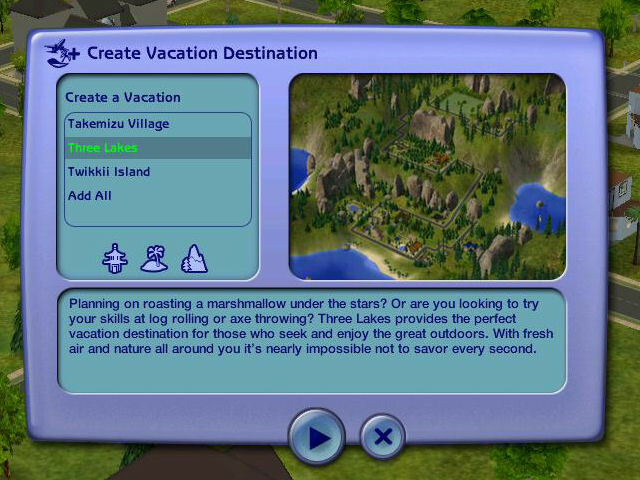 You can choose one of three resorts or choose to have all at the same time. You can also make your own in one of the three themes. 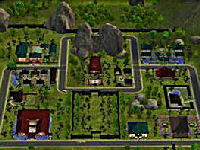 A resort is made up of several different lots linked together in a localised theme. Each have their own activities, cultures, cuisine ... and secrets. This is an oriental village with shrines, oriental gardens and buildings with curved "pagoda-style" roofs. This resort is set in a pine forest in the mountains. Not surprisingly, there are three small lakes here as well. 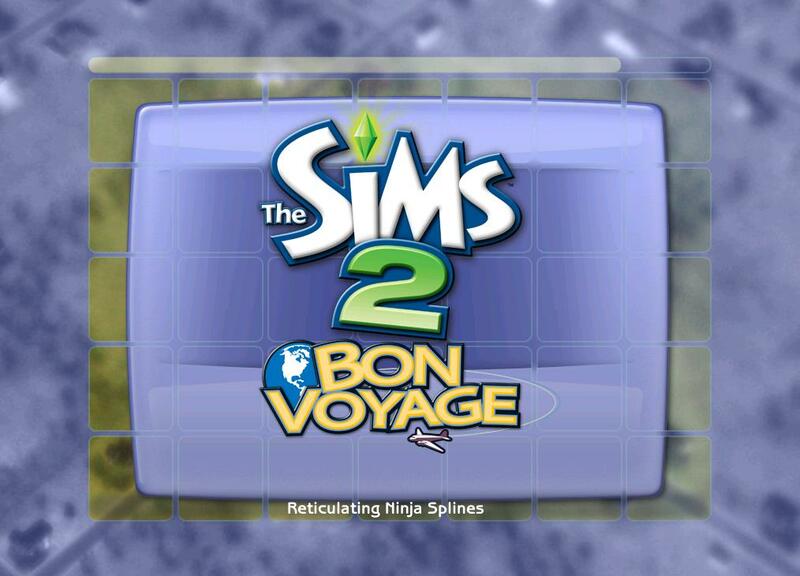 This is set on a tropical island where the main geographic features are the beach and some ancient ruins. In form with what happens after installing all of the previous EPs, there is a new icon in the top left corner of the screen, which you click on to have a look at these places. 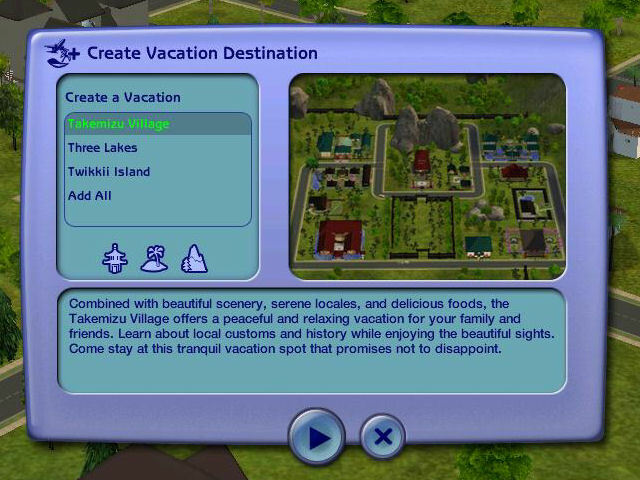 However, we will be looking at these three types of resort later on in this review and how you can tweak them. Now we've set the resorts up, it's time to look at one of my favourite things. What's "good in the 'hood"? Do I need to remind you how much I like neighborhood decorations? I thought not. As always, I started checking them out at the first opportunity. I had not been too impressed with the limited few of those in "Seasons", but this time I was not to be disappointed. Most categories have something new. 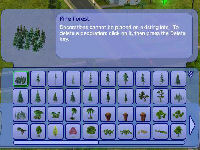 The biggest change that I could see first of all was the amount of new trees that have been included. 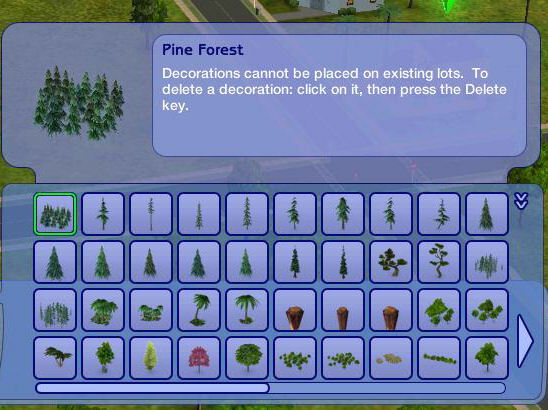 At last you can have pine forests instead of doing it one tree at a time. There are a lot of new neighborhood decorations with a maritime theme. There are new rocks, breakwaters and other beachfront decor. These have been put to very good use in the resorts. Also, with the new oriental theme, there is a lot of oriental decor. 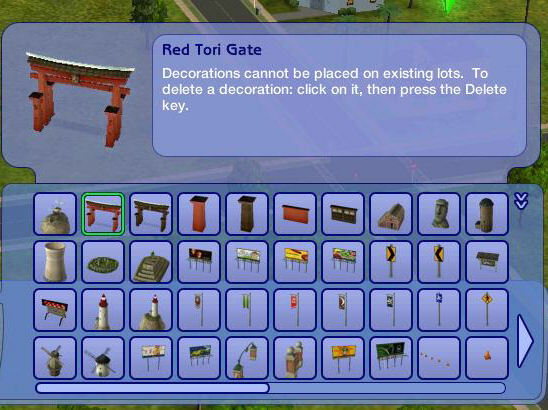 Gates, walls, fences, and torii. You can even mount the torii in the sea in a style not disimilar to the Itsukushima Shrine. Being someone who loves how his neighborhood looks, I am really pleased with these additions. I was somewhat disappointed with the ones included with Seasons. This time, they have put in some hard work. 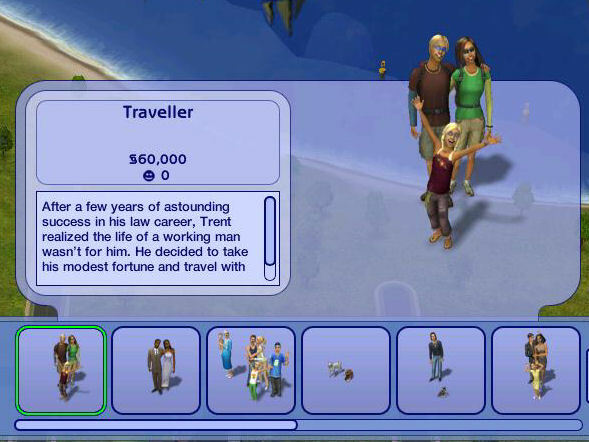 In the family bin, you will find the Traveller family. With Â§60,000, you can afford to send them around the world. In the lot bins, there are new houses and community lots. Also, the speciality lot bin makes an appearance with hotels. Previously, it was only found in the university town and contained dormitories and secret locations. 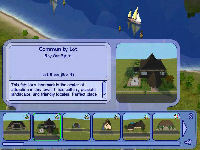 If you wish to create a new lot, you will not find any new sizes but you will find a new type of lot. The beach lot does what it says on the tin. Sited properly, it must connect with road and with water. There are not as many sizes of lot as normal but enough to be going on with. We will be looking at them later. "Arrived safely, the weather is fine"
So far, BV has got off to quite a good start in my eyes. 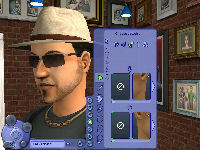 In the next part, I will be looking at how things have personally changed for our sims, seeing what new clothes and accessories there are for them. Also, we'll find out how they can define their personalities even further. Written at 22:35 on Saturday 8 September 2007 by Andy.